Steve Cavanagh is a lawyer in Northern Ireland who sets his legal thrillers in New York because the U.K. legal system, which divides a lawyer's job into the two professions of barrister and solicitor, would force him to create two protagonists, and besides, who could take seriously a hero in a white powdered wig? 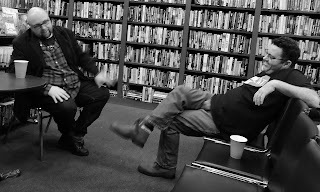 That's what Steve said, at least, and if he was having his audience (Friday, at the Mysterious Bookshop in New York) on a bit, that would be thoroughly in keeping with the sort of fun and misdirection that he says characterizes great courtroom advocates. Such lawyers, Steve said, know just how to hold the room's attention and when to misdirect it. It may help if you know that Steve's protagonist, the irrepressible Eddie Flynn, star of The Defence (The Defense in the U.S.), The Plea, and The Liar, is a con man turned lawyer, and the type of lawyer I'd want on a my side even if he sometimes sleeps in his clothes, tiptoes along high ledges, or works with a bomb attached to his body. "Is there anything you have thought about having Eddie do but then rejected as too wild even for him?" I asked. "No," Steve said, and if you suspect from this that the Eddie Flynn novels are fun, you're right. 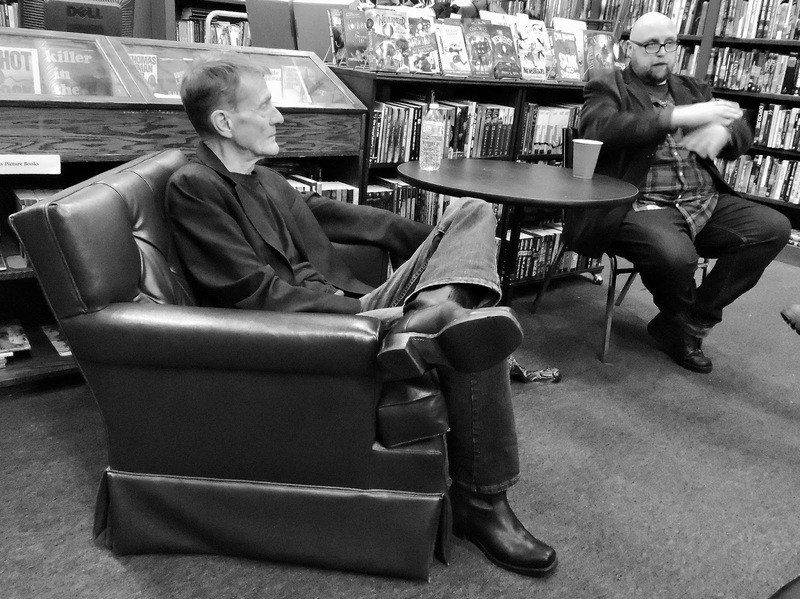 Cavanagh appeared with Lee Child at the event, and the audience included Adrian McKinty, in downtown Manhattan by way of Carrickfergus, Melbourne, and uptown Manhattan. 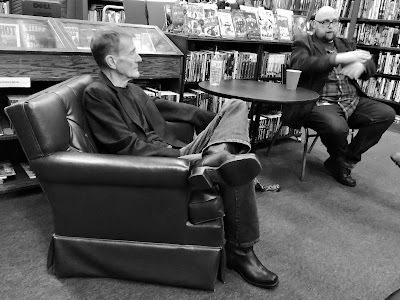 Adrian is a longtime Detective Beyond Borders favorite, an Edgar Award winner, the author of two superb series in addition to a bunch of standalone novels, a self-proclaimed connoisseur of beer, and an erudite boon companion whom it is always a pleasure to see. I’m envious of your NYC adventures among CDM fiction writers and their haunts. And I’m thrilled to see that you’re blogging again. All of it means I get to get the goods on great writers and keep expanding my reading list. For example, you’ve introduced me to Cavanaugh, a name new to me. Thanks! Cavanagh is, if not the man, one of the men. His stuff is fun to read. And yes, it's good to be where stuff is happening.